Take your Powerpoint or Keynote presentations to the next level! At Impact Presentations we pride ourselves on creating beautiful visual stories to compliment any presentation. Our presentation decks are designed with both Microsoft PowerPoint and Apple Keynote. All of our decks are delivered presentation ready and are fully editable for future changes that inevitably take place as the presentation develops. Our two main presentation design services are described below. Have you already written a presentation and want to add that extra element to add that extra zing. Adding visual elements to your presentation will help engage your audience and make your message sticky. Our designers will take your idea,story or message and design visual elements that compliment your talk. We will break the presentation into an easy to follow visual storyboard. Delivered to you ready to create impact. Already have PowerPoint slides but they are tired. If you feel this then there is a good chance that your audience will also. Poor visuals will detract from your message and having the audience looking for the door. Your presentation is ready for a facelift. We create a colour scheme based on your story or brand. We choose a typeface to compliment. 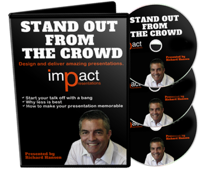 We deliver to you a presentation ready, fully editable Powerpoint or Keynote slide deck. Send us your slides and we will give you a free 20 minute no obligation consultation and give you some simple tips to create engaging visuals.